There are four malls around the city with Tappoo’s City Mall and Morris Hedstrom’s City Center (MHCC) extremely popular due to their central location and the convenience of finding just about anything you desire under one roof. MHCC is consumer heaven with a myriad of small outlets ranging from hair salons, shoes stores, electronic supplies, sporting goods, Indian boutiques, books, children’s wear, cafes and a supermarket. A Food Court can be found on the 2nd floor of the mall so if you’ve shopped till you nearly drop, take time out and replenish your energy levels with a coffee and cake or a full size meal. It definitely lives up to its name as the “Meeting Place”. Opens from 9am- 9pm, 7 days a week. 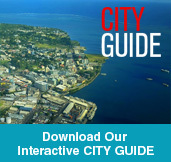 The nightlife in Suva basically revolves around dining out at the huge range of restaurants, watching latest releases at the cinema and for the young and young at heart, a night on the town frequenting the many nightclubs. The restaurants are usually open until around 10pm after which party time at the clubs kicks in. The busiest nights are usually Thursday, Friday and Saturday when Victoria Parade vibrates with people from all walks of life checking out the entertainment options. Families, couples, groups and swinging singles mix it together in a friendly and happy atmosphere. Suva at night is a safe place to venture however as in most major cities, it is advisable to stay within the mainstream of the action. Known to be one of Suva’s most popular attractions, Thurston Gardens is the only botanical garden located in Suva. The Gardens have had a fascinating, and at times, violent history. This was the site of the original village of Suva, surrounded by a defensive wall and moat, that was decimated by flames in 1843 during a war between two tribes, Rewa and Bau, that was to last 11 years resulting in the slaughter of 400 people and cannibalistic feasting on the victims. On a gentler note, Thurston Gardens is the original site of the Fiji Museum named after Fiji’s fifth Governor to Fiji, Sir John Bates Thurston. Founded in 1904 in the old Town Hall, it is filled with historical artifacts dating back to the 1800′s, and is a must visit for those who have a penchant for history. The interior of the museum is divided into halls with the most precious and historic items placed deeper within the display areas. The first hall displays a traditional Fijian double hulled canoe called ‘Drua’ utilised in the early years by the Fijians for voyaging around Oceania. For all your Hollywood and Bollywood entertainment, the Village 6 cinema complex has all the latest movies released around the same time as in other major countries with some being available prior to viewing by western countries. The complex also features 3D with a wide choice of English and Bollywood movies playing. Viewing a movie with locals can be quite disconcerting with the differing cultures having totally different reactions. Where you see comedy they see drama and where they see drama you see comedy. Fiji is a multi-racial and multi- cultural country. 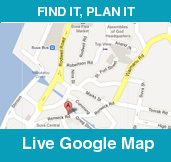 With various religions around you will also find amazing temples, churches and mosques all around Suva city. 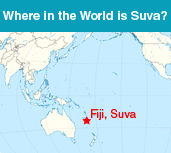 Christianity is one of the oldest and dominant religions in Fiji. This plays a huge part in the cultural heritage aspect of the country as well, with over fifty different Church structures in existence since the Colonial era. These and other religious Temples are a good way to spend a fun day out admiring the oldest to newer, more modern cultural architecture in and around the greater Suva area. You will find them conveniently placed within walking distances and always welcoming to visitors. There is usually always someone around who will give you a brief tour and an idea about the religion. It is overall a truly enlightening experience and such a deep part of Fiji’s culture. 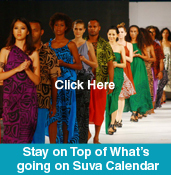 If you browse through the website, you will find some religions attractions which highlight the ‘must visit’ spots around Suva. The Pure Fiji Spa welcomes its guests with a vast range of purely unique Fijian experience not found anywhere else around the South Pacific. This wonderful Spa represents the Pacific, a plethora of fresh and natural ingredients and age-old traditions that have been utilized by Fijian peoples for generations. Pure Fiji’s Spa uses the finest massage oils and lotions produced exclusively in their Suva factory. Pure Fiji’s Spa’s and products are exclusively located in outlets such as Intercontinental Fiji, Likuliku Lagoon Resort, Pure Fiji Spa (situated in Vatuwaqa) and The Pearl South Pacific located in Pacific Harbor. These are just a selection from a long list of resorts that cater for their spas and products. Combining a unique concoction of timeless secrets of well being and good health to all their customers, Pure Fiji uses the best ancient traditions combined with advanced technology for the people of today! Pure Fiji’s Spas offers a complete line of natural beauty therapies which benefits and rejuvenates your skin and makes you feel and look younger and revitalized. Their products use a combination of Fiji’s finest and untouched tropical flora, warm Pacific Ocean coconut oils and powerful plant actives. Products such as sugar cane, pineapple, papaya, passion fruit and green coconut are freshly harvested and processed within hours so that their freshness is preserved. 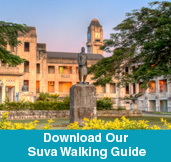 A city walking tour is available for those who are interested in seeing Suva’s colonial buildings restored to their former magnificence. Some of the famous buildings you will see are the old Centenary Methodist Church, Parliament House and Government House. The Presidential Palace which was rebuilt in the year 1928 for the then British governor is now the residence of the incumbent President of Fiji, Brigadier-General Ratu Epeli Nailatikau. Originally erected in 1882, the house had to be rebuilt following its destruction by lightning in 1921. The house is guarded by the Fiji military forces resplendent in their white sulus and red jackets. Every month the changing of the guard can be observed. Carried out in a traditional manner with military precision it is definitely worth seeing. Observing certain protocols, at times the military stage marches through the city ending at Government House. 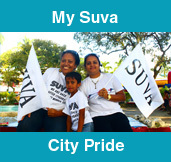 This demonstrates support for the President, the Government of the day and emphasizes security for the people of Fiji. As the South Pacific’s only and largest regional tertiary institution, the University of the South Pacific hosts 12 Pacific Island countries incorporating the Cook Islands, Fiji, Kiribati, Marshall Islands, Nauru, Niue, Samoa, Solomon Islands, Tokelau, Tonga, Tuvalu and Vanuatu. The University has a full compliment of highly qualified staff. Its intake consists of high school graduates, continuing scholars and mature-age students who wish to take advantage of the exciting and broad curriculum available. The old capital of Fiji is also a great place to visit as many historical events occurred here. The town was founded around the 1820′s by European settlers and traders and was the first modern town in Fiji becoming a very important port and trading post. The Presidential Palace, which was rebuilt in 1928 for the then British Governor is now the residence of the incumbent President of Fiji, Brigadier-General Ratu Epeli Nailatikau. Originally erected in 1882 it was destroyed by a fire caused by lightning in 1921 and had to be rebuilt. It is also known as Government House. The palace is guarded by a single guard standing to attention at the main entrance. The changing of the guard ceremony occurs once a month. At certain times, leading up to the changing of the guard, military personnel march through the main streets of Suva to the palace gates showing support for the President, the Government.